We maintain dozens of sites on Windows Azure, and operate our Office with Office365. 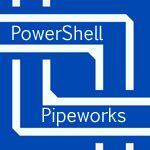 We have developed on the few web platforms to be deeply cloud-centric, PowerShell Pipeworks, and have made it the center of our automated lines of business. Please Contact Us to see how we can help you realize the cost savings of the cloud.